Do you recognize this scene? This is an old photograph, from circa 1930, of Granary Way. The building in the center of the photo is the green "Chowder House" building. Just behind it, there is where Back Bay Cottage sits now. 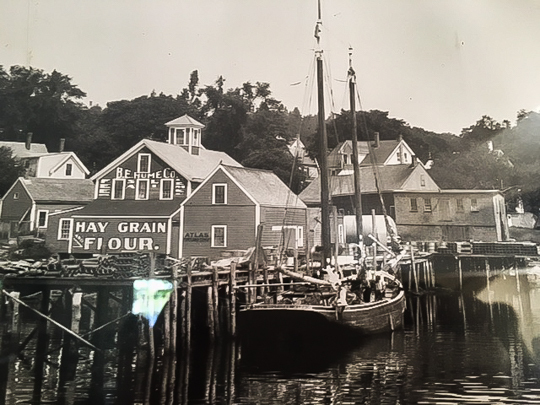 Thanks to the Boothbay Railway Village for displaying these and many other historical photos!